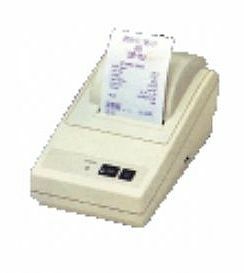 Designed for applications using heavy duty, mutli-copy media or for passbook printing. 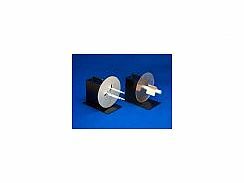 Also perfect for single sheet paper and form-filling applications. The Prodot range are flatbed dot matrix printers which feeds straight through the printer without curving round a platten. Flatbed printers are ideal for thicker, multi-copy stationary that can often mis-feed on ‘traditional’ platten printers. Rear tractor and single-sheet front loading. Media skew detection & connection. For adaptability and connectivity in different applications and environments, the printers are equipped with parallel and serial ports as standard. Additionally, an external Ethernet adapter can be used to network our printers. Up to 1 + 6 copies. 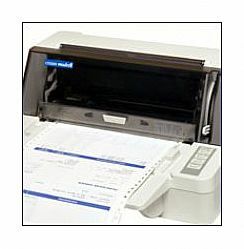 Dot Matrix Printers are still probably the most economical way of printing on paper, especially for ‘journal printing’. 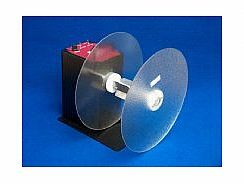 Unlike an inkjet, you can choose when to change the ribbon. If the printing is looking a little feint, order a new ribbon for delivery in a couple of days and change it then. With an inkjet or laser, “ink out” means you cannot print anything further.